Finally! The House of Fraser Apothecary has launched online which means that poor souls like myself (who’s nearest HoF is an hours drive away) can finally take advantage of some of the new and exclusive brands available to the department store. I previously wrote about the Lippmann Collection of nail polishes that I’m still salivating over. I’m finding it damn near impossible to pick a preferred choice though! I’m also curious about the Body America range of skincare… potentially good, affordable products that have enough about them (New York Cheesecake Body Butter anyone?) to raise real interest in how they feel, work and smell. Other highlights include colostrum-based skincare brand Electric Body who hail from New Zealand and promise anti-aging delights (albeit at a price! 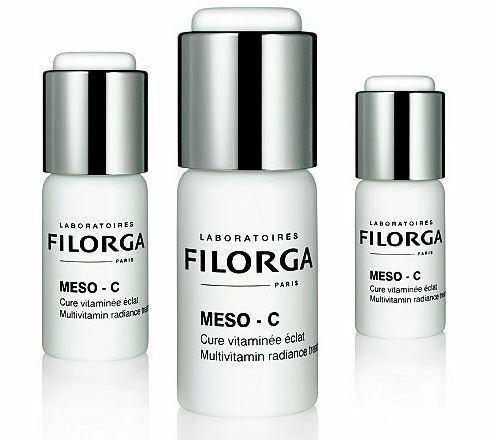 ), Aussie brand MOR – yes, they of the exquisite packaging and French pharmacie skincare brand Filorga who’s origins (in mesotherapy and injectible forms of anti-aging) promise the same results but without the needles. I spent an indecent amount of time in the Guildford store just after Christmas… there *may* have been Guerlain purchases, I will neither confirm nor deny those rumours. 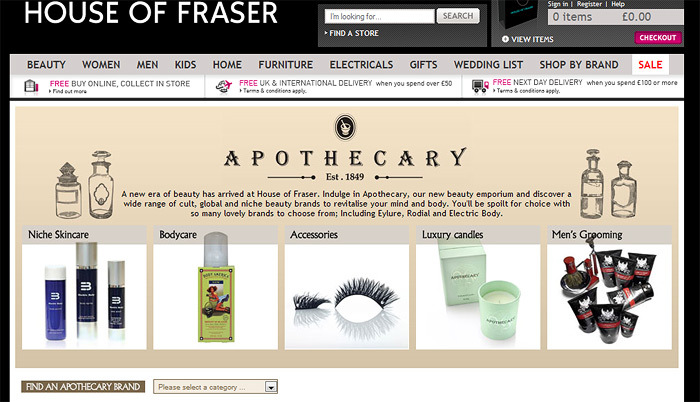 Have you stopped by the new House of Fraser Apothecary yet? Oh wow, those pretty, pretty lashes are 36 of your British pounds!! I think this website is off limits to me, based on my lack of income :/ Pretty things to look at though! I’ve been waiting since October for this, I’m SO excited to finally be able to get my hands on some DL polishes!! Hurrah for HoF! Electric Body is supposed to work quantum-physically in terms that our skin cells react to the vibrational frequency of everything they come in contact with, either in a healthy or toxic way. Colostrum-based skincare… I wonder what sort of vibes come through when the first and nutritionally most signifikant milk is taken away from a calf and its new mum. I’m really annoyed about this actually. I saw your last post said the apothecary would launch in October so I patiently waited to no avail and finally gave up and emailed customer service – and got a snooty reply with no time frame. Then it finally does launch and the prices are all over the place – with the DL polishes from £14 to £18 for no reason I can fathom out (seems like newer ones may be more expensive?) and to top it all off Across the Universe has disappeared from the site completely. Hi Charlotte, it has been a bit of a wait hasn’t it? I think they had most of the Apothecary stuff in fairly early on but it was the DL polishes that got held up (it would be wouldn’t it!). I’m sure I know the answer to that £14 / £18 question… I think the glitter flake ones are more expensive in the US too aren’t they? I’m most confused about the pricing because Ruby Red Slippers is one of those chunky glitters and is priced at £14 but Across the Universe is a glitter and £18. I suppose I shouldn’t complain as it seems that RRS is cheaper than it should be! Thanks for this blog post. Just ordered 2. Sadly they have sold out of the happy birthday polish already. When you search it just says no longer in stock. Shame the website is not like John Lewis which allows you to enter your email address to be notified when the product comes back in stock. Looked in the Manchester store before Christmas but they did not have the polishes in store. Will have to check if they have them in on Thursday. Like House of Fraser but not the most organised of shops!